Terrific location, great space. 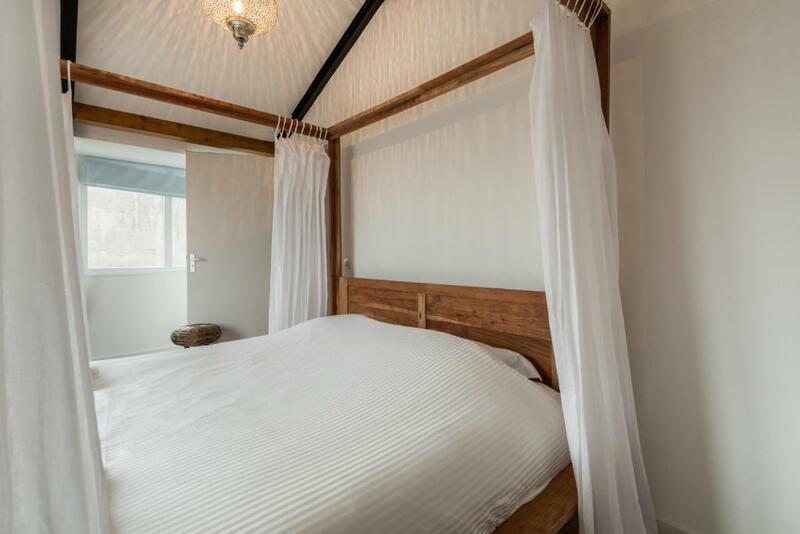 superb cleanliness, very large comfortable bed, toiletries supplied, ease of check in. Met by the smiling Rohan for key collection and apartment info. Fantastic property. Spacious and clean apartment in good location. Bed is comfy. Easy check in and out. Host is very nice and easy to communicate with in quick response. Try the best to accommodate our request. Highly recommended. Everything! 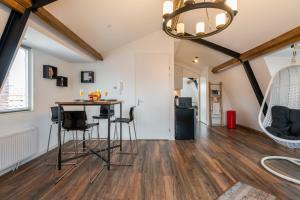 Beautiful apartment in the center of alkmaar! Extremely clean and in general everything was to an extremely high standard. Great host! Very easy to check in and check out, I was explained everything I needed to know and he was very reliable. Very happy! Spaciousness, decor, location, facilities. Cannot fault. Very friendly host who met us at the apartment with a smile. The apartment was very clean and excellent location for exploring the old town on foot. The kitchen facilities, like the rest of the space, were modern and the supplied crockery and other cooking equipped was all like new. Free on street car parking was suggested by our host and this was easy to find about 400m away. Parked there with no issues and happy to do so as that's the nature of things if you want to stay in the centre of the old town. Pay-for car parks are available nearer if you so desire and it is in easy walking distance of the train station. The apartment is on the second floor above a shop. It is near the centre of the old town with a view of the Piet Molen from the front windows. 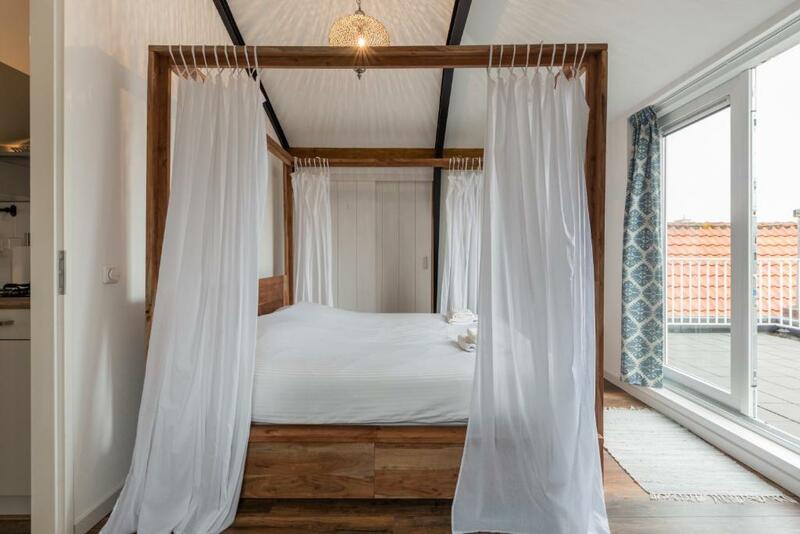 There is a balcony from the bedroom. Very comfy bed. Well equipped kitchen. Nice and warm which was great cos it was so cold outside. 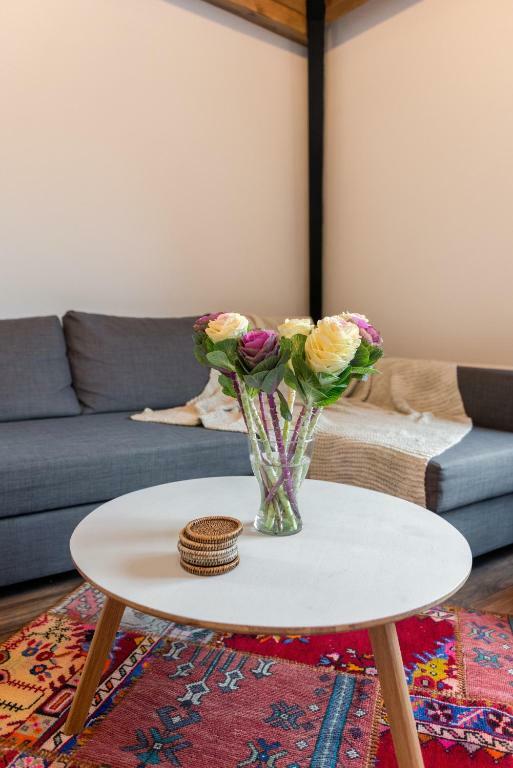 Lock in a great price for Romantic Apartment "De Koning" Alkmaar – rated 9.1 by recent guests! 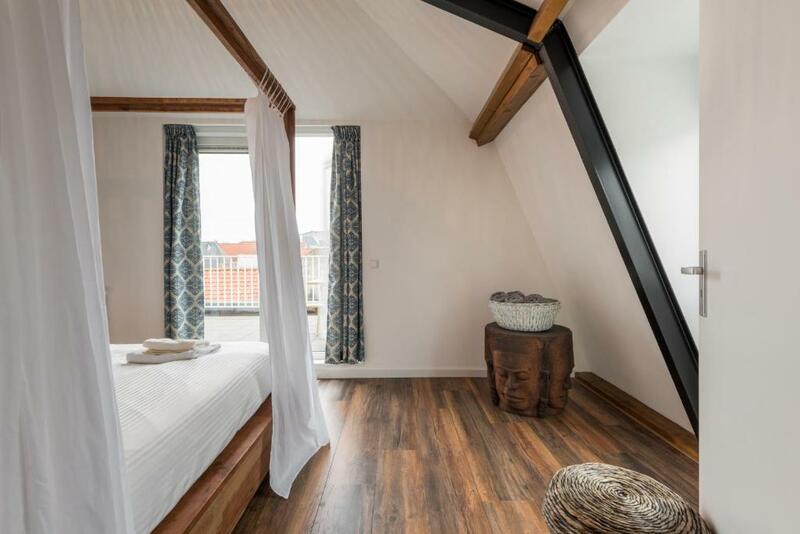 One of our top picks in Alkmaar.Located in Alkmaar, 1.6 miles from National Biermuseum and 1.7 miles from Dutch Cheesemuseum, Romantic Apartment "De Koning" Alkmaar provides a restaurant and garden views. Free WiFi is offered. 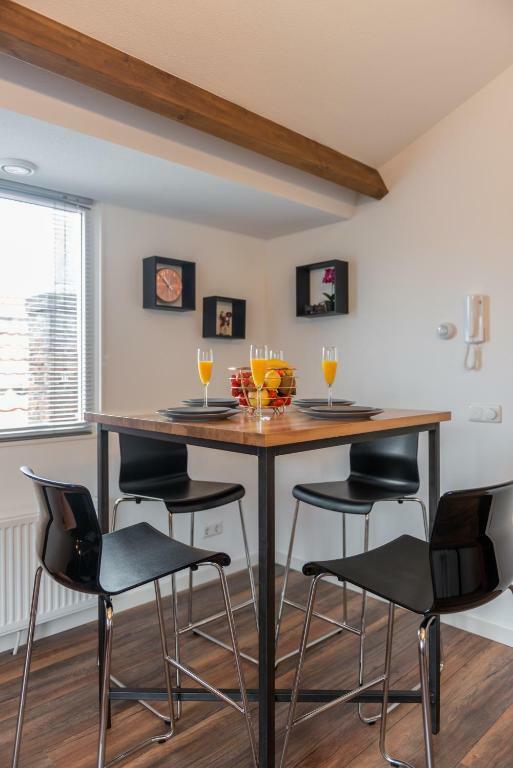 AFAS Stadion is 2 miles from Romantic Apartment. The nearest airport is Schiphol Airport, 27 miles from the property. 뀐 Located in the top-rated area in Alkmaar, this property has an excellent location score of 9.5! When would you like to stay at Romantic Apartment "De Koning" Alkmaar? This apartment features a DVD player, stovetop and toaster. 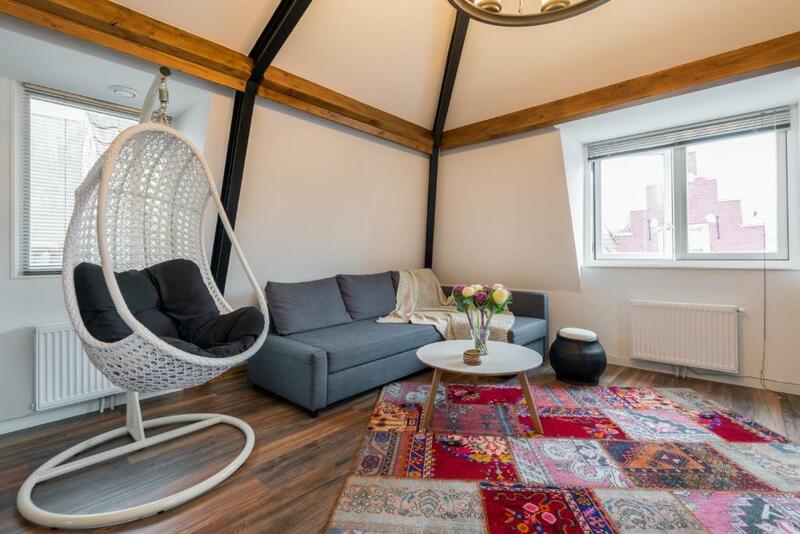 This romantic apartment is situated in one of the finest streets of the old city of Alkmaar. 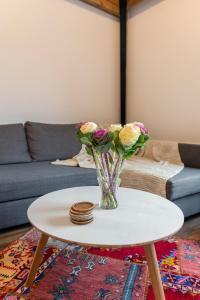 Apartment "De Koning" Alkmaar offers accommodation for max. 4 persons, stylish decorated with a fantastic view from the balcony. The distance from the apartment to the famous Dutch Cheese-museum and Cheese Market is only 500 meters. 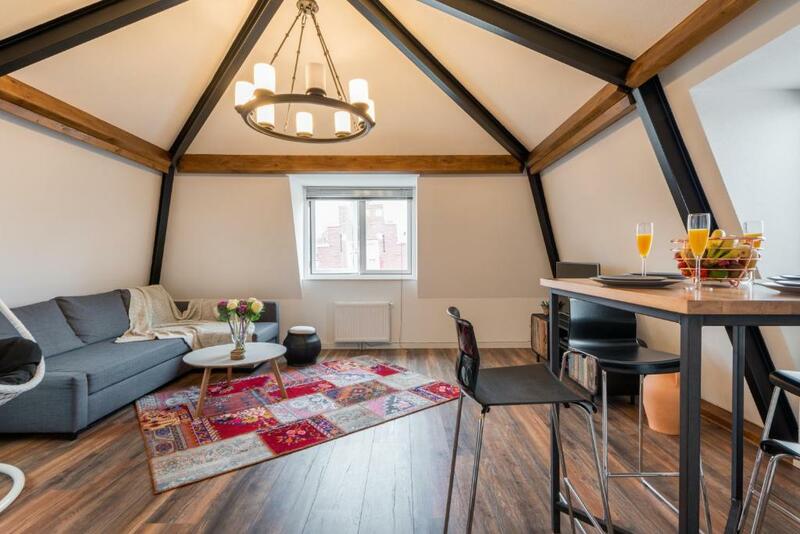 Apartment "De Koning" Alkmaar boasts views of the city and is 600 meters from National Biermuseum. Free WiFi and free parking areas are on walking distance available. Alkmaar is above all Holland's cheese town. During the season from the first Friday of April to the first Friday of September a traditional cheese market is being held here on Friday mornings. Alkmaar is historical with around 400 monuments. The Waag, dating back in its earliest form to the 14th century, the 16th century town-hall, Grote St. Laurens Church and the many courtyards, facades and canals give the town an ambience all of its own. There is a range of restaurants of various kinds, pavement cafés and coffee houses, as well as theatres and museums. Relaxation can also be found in the Geestmerambacht recreational area close by, and the parks and sports facilities. House Rules Romantic Apartment "De Koning" Alkmaar takes special requests – add in the next step! Please note that this property does not have a elevator and located on the 3rd floor. Rooms are access via a staircase. Please inform Romantic Apartment "De Koning" Alkmaar of your expected arrival time in advance. You can use the Special Requests box when booking, or contact the property directly using the contact details in your confirmation. Nothing. We would be pleased to visit again. Excellent central location and very clean and comfortable. 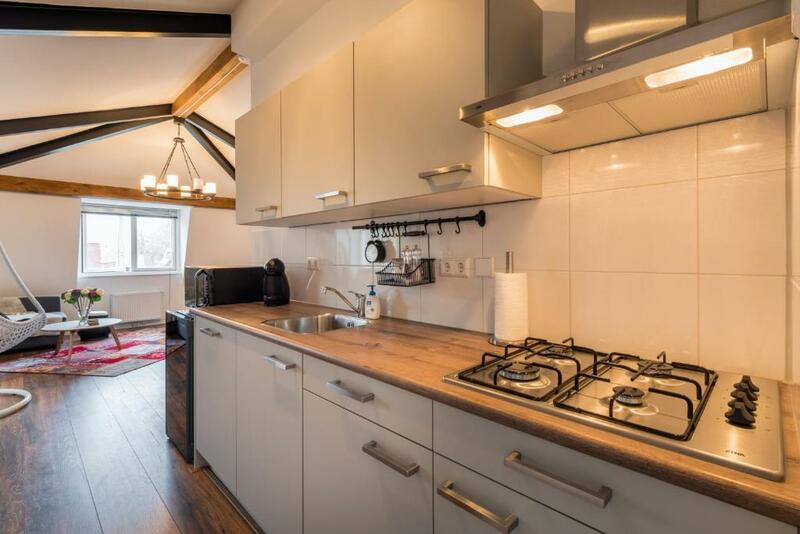 Well equipped kitchen allows proper self-catering. This was our second visit and we really enjoyed being in the centre of the city again. The apartment is at the top of two very steep flights of stairs so take care if you are not so mobile, but the result is a great view over the rooftops and of the working windmill opposite. We parked in the Singel underground garage which has a pedestrian entrance almost opposite the apartment. This car park is clean, bright and safe and costs a maximum of €15 for 24 hours. We used the car a few times during our 6 night stay and the total parking charge ended up at about €60 for the 7 days we were in Alkmaar. We thought that was good value. There are good bars and restaurants in sight of the apartment and that's before you even start to explore the rest of the town. Jumbo supermarket is just a few minutes walk away. The owners are very friendly and welcome you with a smile. Highly recommended. Everything was great,best few day i stayed anywhere. There are two flights of stairs up to the property. The second flight is narrow and curved, so not appropriate for anyone with mobility issues or a baby stroller. Also, taxis apparently aren't allowed on the street in front of the property, so all luggage must be hauled about a block to/from the drop-off point. I can’t fault it in anyway only that I couldn’t stay longer! Only a minor point, but would be nice to have a lamp or two to allow better ambient lighting in the evenings. The two flights of stairs are narrow and twisting - not easy to manage with luggage. The furnishings are simple and a bit sparse. The kitchen is poorly equipped, There are no lamps, just overhead lights. The small bathroom has no ventilation and we had to keep the bathroom door and the hall door open as otherwise there was an unpleasant dank smell.